Little known benefits of having homeowners insurance. Homeowners insurance is a necessary expense that can protect our homes in the event of unforeseen weather and theft. 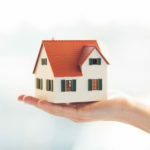 Although many homeowners are aware of the basics of coverage and what home policies offer, there are common over-looked benefits that most policies provide. Take a look at these lesser-known benefits that may just surprise you. Most homeowners don’t realize that their policy may include coverage for refrigerator restocking fees in the event of a power outage. That means if you have a fridge and freezer full of goods that get ruined in a power outage, you can restock your supplies with the help of your insurance policy. If you are traveling and your laptop or suitcase get stolen, you can turn to your home insurance to help replace your belongings. Many don’t realize that your belongings are covered by your home policy, wherever you are in the world. Your homeowners insurance provides coverage for your family’s grave markers/mausoleums. This means that if they are damaged by vandalism, hail, vehicles, and more, you can use your policy to help restore or replace them. Did you know that your home insurance policy could do all this and more? When you’re ready to secure reliable insurance policies for your property, contact the team Lou Aggetta Insurance Services in Pleasant Hill. We are ready to help you find quality coverage today.